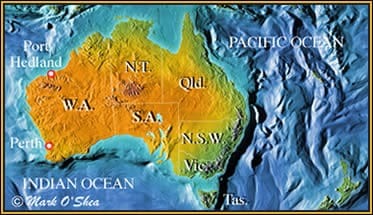 The Pilbara is the oldest part of the oldest land on Earth. Stockmen in the area have reported a large threatening snake that rears up and spreads a hood like a cobra. But there are no cobras in Australia. So what was it that the old stockmen saw ? Mark and Brian Bush, a Perth-based herpetologist who travels the state educating people about snakes, set out to investigate the stories and try to determine which of the many snake species living in this remote desert region of Australia could have been mistaken for a large cobra. Along the way they discover how reptiles have become integrated into the folk lore of the native Australians, the Aborigines, in the land of Song Lines and Dreamtime. 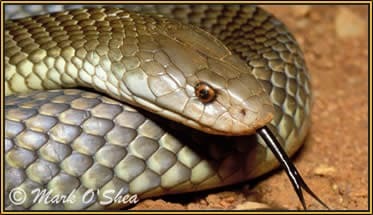 Could the King brownsnake (Pseudechis australis), a large and bold venomous snake, be the Pilbara Cobra ?